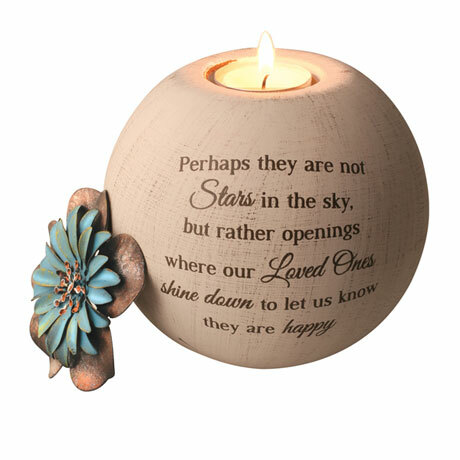 "Perhaps they are not stars in the sky, but rather openings where our loved ones shine down to let us know they are happy." 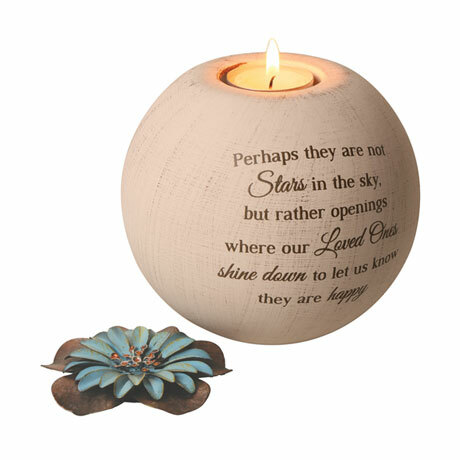 A thoughtful and touching gift for anyone who has lost a loved one. 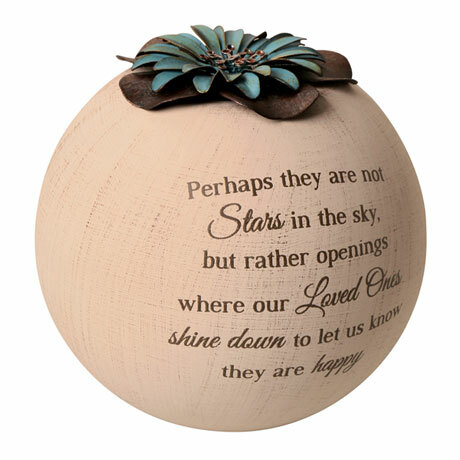 Etched with words of comfort, terra-cotta sphere has a rustic white glaze. The flowershaped copper cap may be used to extinguish the flame. 5" high. Gift boxed with tea light.